Get started on Liquid Web now. Get started on HostGator now. Get started on FatCow now. To help you quickly make an informed decision, we compiled the following VPS hosting comparison table. As you're deciphering between the top VPS reviews, consider setup time, uptime rates, operating system options, as well as the ratings given by our web hosting experts. 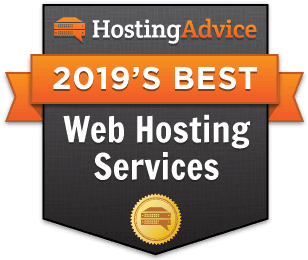 The best VPS hosting providers for 2019 are up next! Looking for something other than vps hosting? Having trouble wrapping your head around VPS hosting? Would an in-depth guide to virtual servers help? Talking about all things hosting every day means terms like “VPS,” “virtual machines,” and the at-times nebulous (pardon my pun) “cloud” come up a lot in my day-to-day dialogue. Sure, we all love to talk up the scalability potential, and being able to “virtually” share space on multiple machines sounds like a great middle ground between traditional shared server hosting and dedicated options. Tons of major companies thrive on VPS hosting — for example, we at HostingAdvice love our VPS host. Still, it’s one of those subject areas where everyone feels the need to toss around a lot of ill-defined marketing words. If you had to explain the difference between virtual servers and cloud servers to a fifth grader, could you do it? I decided to test myself by covering all the basics (and not so basics) of this particular server niche. 1. What is VPS Hosting? In short, a virtual private server (VPS) is just a physical server whose hardware has been divided into multiple partitions, each acting as its own server environment (a “virtual” dedicated server, or VDS). As with any other niche in this industry, the companies selling “virtual” machine hosting, allowing sites to live online, are called web hosts. As you familiarize yourself with this market, you’re bound to come across some commonly used, easily confused terms. Let’s clarify, shall we? FYI: Please don’t say “VPS server.” This is redundant. Saying “VPS servers” is like saying “virtual private server servers,” and that’s just silly. Alright, we’re going to go a bit beyond the basics here. The distinction between cloud hosting providers and virtual private server hosting providers can be a tough one to grasp. To compare the two, I’d like to throw it back to 10th-grade geometry: In the same way that a square can also be called a rectangle but a rectangle is not necessarily a square, a personal cloud server can also be a VPS but not all VPSs are cloud servers, necessarily. Scale: Since cloud providers allow you to take advantage of multiple machines, you get unlimited storage, mega bandwidth, and superior load balancing all on the fly. High Availability: Cloud hosting offers high availability because if a single physical server fails, all data is seamlessly transferred to another physical server. VPSs don’t do that. Price: With the added server power and flexibility comes added cost for cloud hosting. While a VPS offers your site room to grow, a cloud server is known for offering on-demand resources. You can often pay for said resources by the hour, which has its perks, but this means you have to be vigilant about how long you keep your servers spun up. What About “Managed” VPS Hosting? Managing servers is time-consuming and technically demanding. It can be expensive to staff an entire team dedicated to maintaining hardware updates, monitoring security, and all in all keeping things online. With this in mind, some of the leading hosts offer their IT expertise to manage the infrastructure for you in addition to hosting VPSs. It’ll cost you a premium but, more than likely, also save you a priceless amount of headache. InMotion’s DV service is top-of-the-line when it comes to managed VPS hosting. 2. What are the Advantages? Who Uses It? Alright, what is a private server from an end-user point of view? Let’s cover the perks, the downsides, and who’s typically using this particular hosting product. At a very high level, VPS hosting is considered a bridge between shared and dedicated hosting. It’s often said that once your site “outgrows your shared hosting environment” — meaning you need more RAM, more storage, or the ability to accommodate higher traffic volumes — it’s time to consider a VPS. That’s really the biggest benefit to migrating from a shared to a virtual server: Your site can grow to receive more visitors without you having to eat the higher cost and hardware responsibility of a dedicated server. VPS users are rarely first-time site owners or folks seeking a personal email server. Typically, the people using VPSs are those whose sites or apps are receiving upwards of 100,000 visitors a month. Let’s examine the features we looked for when conducting our VPS hosting comparison above. What separates the so-so from the best private servers? We found flexibility to be a common theme, and that begins with having your choice of operating system. Whether you’re hosting your increasingly popular website or you’re in need of a Linux backup server for secure storage, hosts like InMotion and Media Temple never cease to exceed expectations in terms of service. If you’re wondering, ‘Windows or Linux: Which is for me?’ chances are you should go the Linux route. Only go the Windows way if you have a really specific reason for doing so (i.e., you’re going to be running some sort of software that’s not Linux-compliant). The vast majority of y’all are going to want to run Linux, so we’ve reviewed the top shared hosts for Linux and the top plans for Linux VPS hosting. Since we’ve covered the differences between VPS hosts and cloud hosts, feel free to delve deeper into the nuances of what makes for the best cloud hosting providers here. The question of the hour: How much does VPS hosting cost? First, it’s important to remember that “the cheapest VPS” is not synonymous with “the best VPS.” It’s important to consider the overall value that a web host is offering. There are VPS providers out there offering free hosting or a VPS free trial, and this can be great for gamers, part-time vloggers, or developers spinning up mini side projects from time to time. If you’re serious about getting a site online and you’re expecting serious performance and/or traffic, you need to be able to pony up the cost of a decent plan. A cheap server rack can offer VPSs in the $15-a-month range, which is really not too extravagant, especially when you compare it to the cost of your average dedicated server. As I mentioned, cloud hosting can be a bit more expensive than VPS hosting, but if you opt for a shared cloud server, you can cut down on that expense significantly. Lastly, I’d like to clear up any confusion around similarly named terms. Especially with so many “cloud services” popping up these days, one can easily get lost in cloud-related phraseology amid all the acronyms with similar lettering. A company selling or reselling cloud servers is different from a company offering various services that use cloud resources, e.g., cloud computing providers. This gets confusing because those providers may use what’s called a cloud computing server, but that’s just referring to the hardware they’re using to conduct their services. Though only one letter off, a VPS service is very different from VPN hosting. First off, VPN stands for virtual private network, which is a collection of Internet protocols that allow you to send and receive data anonymously. This allows you to keep your private information private, even while on a public Internet connection such as the free wifi at your favorite local coffee shop. Many larger corporations and institutions use VPNs to allow remote workers to securely log into the company network while abroad. Say an agency dealing with sensitive client information wants to add an extra layer of anonymity to their private email service. A VPN can offer that extra veil of privacy for as little as a few dollars a month. I don’t know how many fifth graders are studying up on virtual servers, but nevertheless, I hope you all found my no-guesswork guide to our VPS hosting reviews to be informative, actionable, and snarky in a good way. With all the main questions answered, you’re ready to sign up and spin up. Providers like Bluehost and iPage offer instant deployment, so you can quickly get on to business. The InMotion Hosting team offers Launch Assist — two hours of assistance from experienced SysAdmins — to customers who sign up for 12 months or longer. Our team tested all the top VPS hosts and found the sign-up times to be in the 6- to 7-minute range, so getting started is, virtually, a snap. Alexandra Leslie’s interest in website administration was sparked in her teens, priming her for a fast-paced career in managing, building, and contributing to online brands, including HostingAdvice, Forbes, and the blogs of prominent hosting providers. She brings to the table firsthand experience in reviewing web hosts, perfecting website design, optimizing content, and walking site owners through the steps that add up to a successful online presence. Today, she combines her extensive writing experience with technical understanding to unpack some of the most complex topics that daunt novice website owners, as well as the subjects that excite veteran technologists within the HostingAdvice readership.